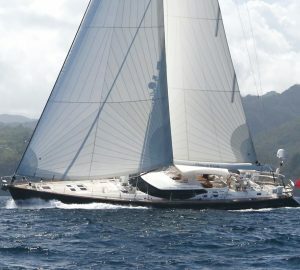 Luxury sailing yacht ON LIBERTY was lunched by the well-known Oyster Marine shipyard of the UK in 2015 and measures 22,07m (72,5ft) in length. 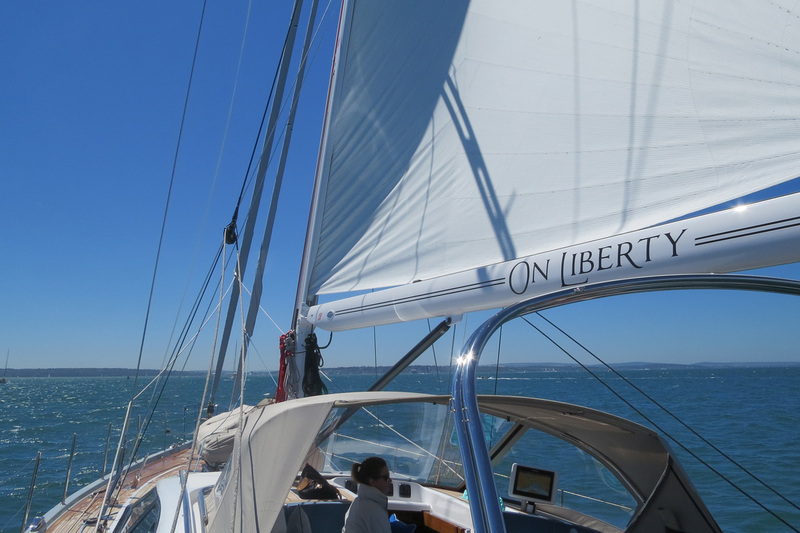 S/Y ON LIBERTY offers accommodation in 3 cabins, for up to 6 guests. Sailing yacht ON LIBERTY has a contemporary interior décor, featuring warm wood panels, neutral headlining and nautical blue soft furnishings, creating a warm welcome ambiance. The salon and dining is integrated and boasts large in hull windows, ample overhead windows and hatches, a comfortable seating area and optional formal dining table. The fully equipped galley is forward of the salon. Guest accommodation is in 1 full beam master stateroom aft, 1 double and 1 twin cabin, each with private en-suite facilities. The Oyster Marine sailing yacht ON LIBERTY has plenty of exterior living to enjoy. The salon companionway leads out into a spacious guest cockpit, complete with opposing seating, an alfresco dining table and shade from a removable Bimini cover. 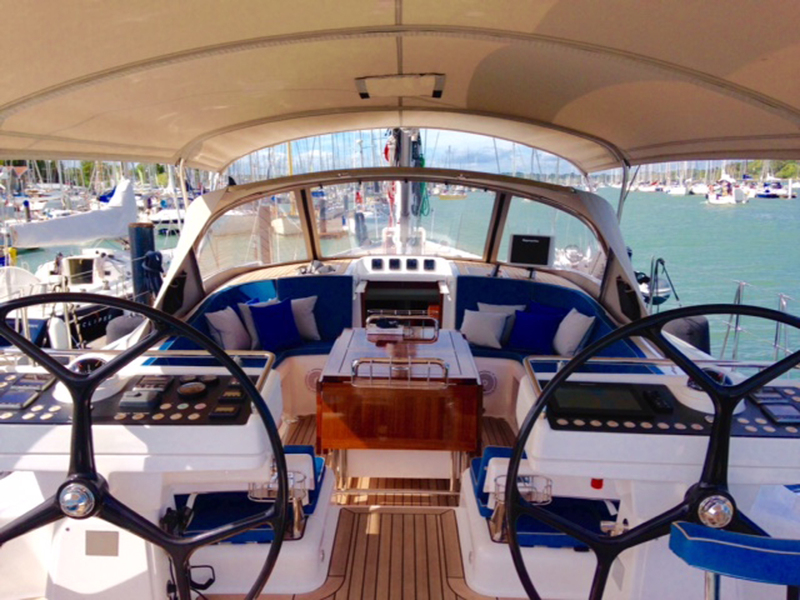 The cockpit has an open walk through between the dual helms aft, making access to the aft deck and swim platform effortless. 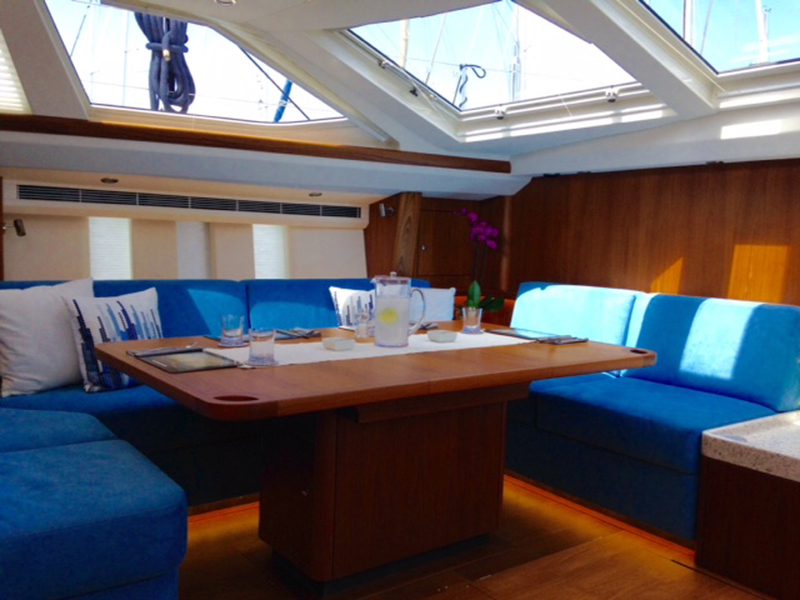 On the foredeck, ON LIBERTY has additional deck space, perfect for sunning. Crewed charter yacht ON LIBERTY is powered by a single engine. She has a cutter rig and can reach speeds of up to 9 knots. Luxury yacht ON LIBERTY can accommodate up to 6 guests, in 3 en-suite cabins. 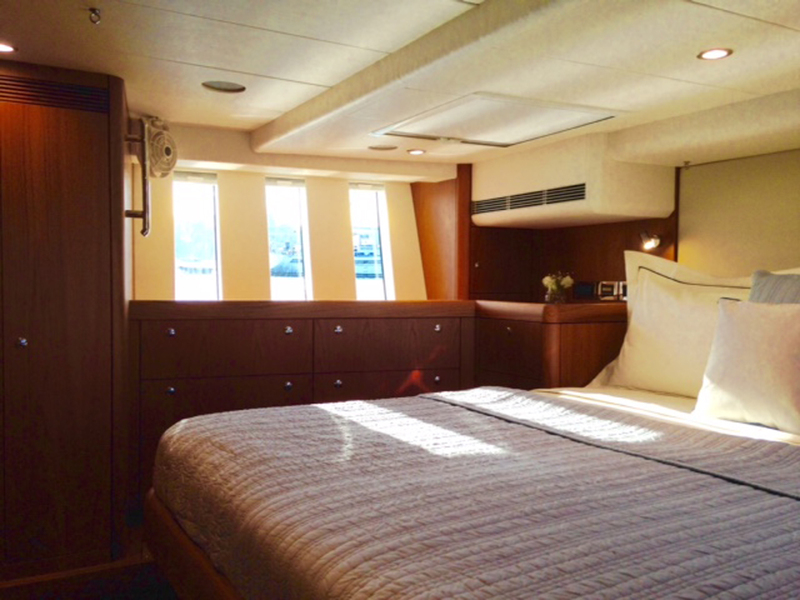 The master stateroom is aft of the yacht and full beam, featuring a center lined double bed and seating area. One guest cabin offers a double bed and a further guest cabin has upper and lower twin beds. 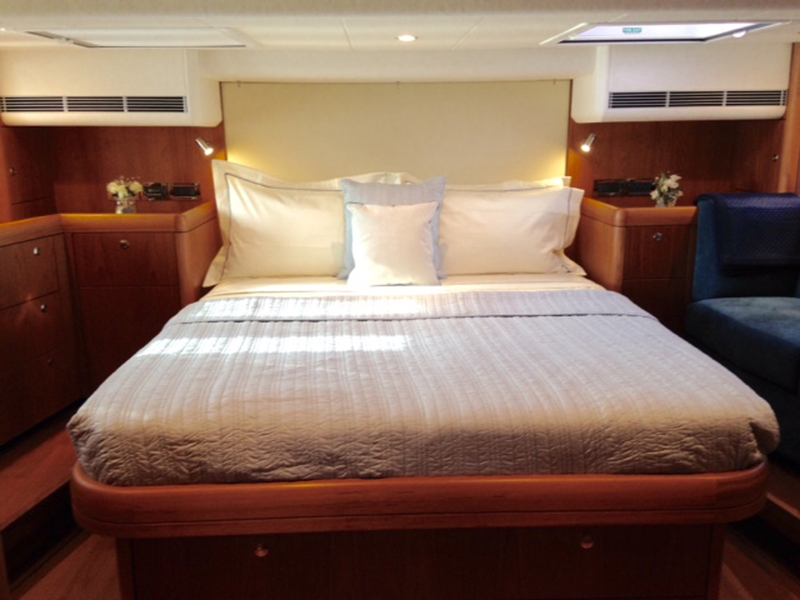 S/Y ON LIBERTY is fully air conditioned for optimum comfort.